Resembling a dinosaur's tooth and weighing an astonishing 61 pounds, the Philippine-sourced "Giga Pearl" is one of the largest in the world and could be worth upwards of $90 million. Currently owned by Ontario native Abraham Reyes, The Giga Pearl had been a family heirloom for 60 years. The natural pearl was hidden within a giant clam his grandfather had purchased from a Filipino fisherman as a gift for Reyes' aunt. It was 1959. Even when the cream-colored mass was discovered inside, family members didn't think it had much value. In fact, some weren't convinced it was a pearl. Reyes and his aunt, however, always had an affection for the odd collectible, which she displayed along with her artwork and antiquities. 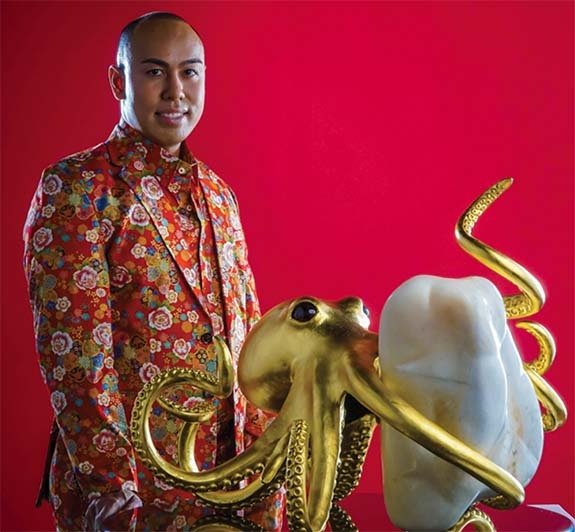 In 2016, when Reyes' aunt began divvying up her estate, the mollusk-born treasure and 15,000 Oriental and Philippine antiques were passed on to him. Reyes, who is a mineral broker, kept the pearl in a safety deposit box until he could have it evaluated by gemologists. 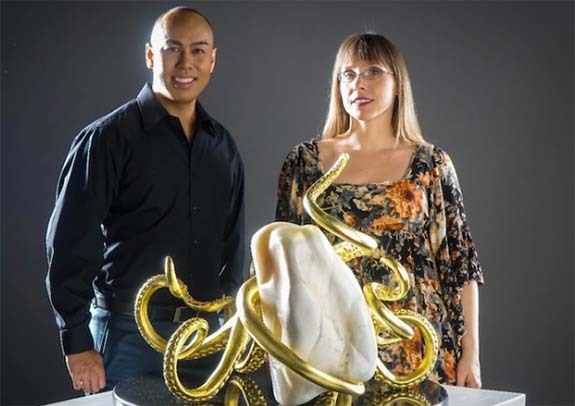 The 34-year-old from Mississauga soon learned that his aunt's collectible was certified by the Gemological Institute of America (GIA) as the largest natural blister pearl in the world. Blister pearls are different than conventional pearls because they grow attached to the inside surface of a shell. The waters of the Philippines are home to one of the most fascinating mollusks on earth — the Tridactna Gigas. They are the largest mollusks in the fossil record, measuring more than a meter wide and weighing more than 200 kilograms. Insurance appraisers have placed the value of The Giga Pearl at somewhere between $60 million and $90 million, according to Reyes. Ideally, Reyes would love to display The Giga Pearl in museums and galleries around the world. 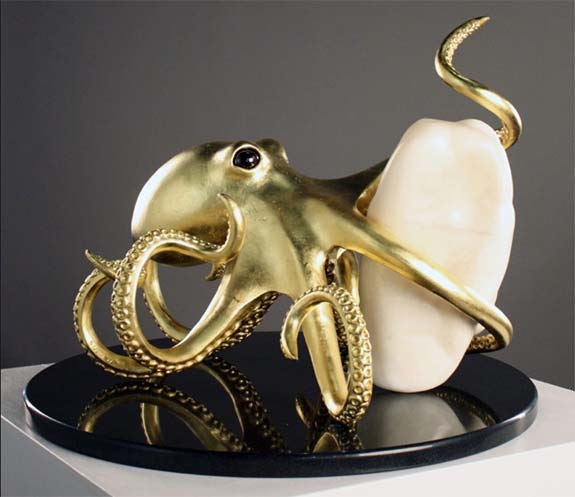 The pearl is currently paired with a 22-karat gold leaf octopus conceived by New York-based sculptor Bethany Krull. 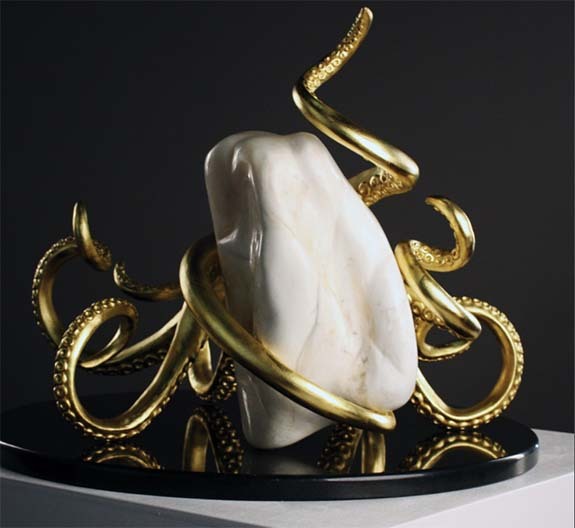 "Seeing this incredible natural pearl and learning of its origins in the Philippine Seas... inspired me to create a sculpture that not only displays the pearl's magnificence but also reiterates the idea that the biodiversity and uniqueness of the waters to which it was born need to be respected and preserved," Krull said. Back in 2016, we reported on the 75-pound Puerto Princesa pearl, which was found by a Filipino fisherman when his anchor got snagged on a giant clam. He had kept the pearl under his bed as a good luck charm for 10 years, and every time he would head out to sea, he would touch the pearl to ensure his safety and good fortune. The fisherman entrusted the amazing pearl to Aileen Cynthia Maggay-Amurao, a relative who was affiliated with the Puerto Princesa tourism office. He asked her to take custody of the good luck charm because he was about to move outside the province and couldn’t take it with him. Recognizing the pearl’s star power, she asked the fisherman if he would approve of the pearl going on display as the city’s newest tourist attraction. He agreed, and the “Pearl of Puerto” was moved into the Atrium of the New Green City Hall. Credits: Images courtesy of The Giga Pearl.